How great is this?!! You can raise money for St. Joseph’s whilst shopping in over 2000 well known stores…and it won’t cost you a penny!! Some of the stores/retailers who use ‘easyfudraising’ are Tesco, John Lewis, Amazon, ebay, Argos, Debenhams, Next, thetrainline.com…and hundreds more besides!! As an example, if you use Tesco for your weekly shop on-line, St. Joseph’s could receive 5% of your total expenditure…just for a couple of clicks of a mouse!! Other stores/retailers offer different ‘deals’…and if we all take the trouble to ‘click and donate’. this would provide us with a significant boost towards our school budget!! As well as this…you will also receive notifications of various ‘voucher deals’ which will also benefit you personally…so everyone is a winner!! 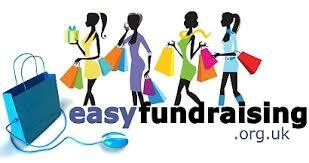 Click on the link below to see a comprehensive list of ‘easyfundraising’ stores/retailers. easyfundraising.org.uk helps charities, schools, sports clubs, community groups, and other good causes to raise money when their supporters shop online. So far we’ve raised over £5 million for causes throughout the UK. It doesn’t cost you a penny more!! It’s very simple – once you’ve registered with us, simply shop with one of our retailers, our system then makes a note of your purchase, you generate cashback from the retailer, and we then pass this donation on your behalf to your chosen cause. That’s it! No hassle for you, we do all the hard work while you shop as you normally would. Click on the link below for ‘Frequently Asked Questions’!! Our ‘account’ will not be ‘live’ for another 48 hours…as soon as it is…we’ll let you know! !